Common beds with trundle have been designed with lower bed to be in sliding style. The lower bed itself is connected to the upper bed as the main item. However, there is a slight difference when people see full size pop up trundle bed frame. The base is actually same as the bed with trundle. The difference is on the lower bed which has a lever to be given extra bed. It can be used next to the main bed to be a queen-size-like bed rather than using double single bed. The special capabilities that make the kind of bed are really popular. 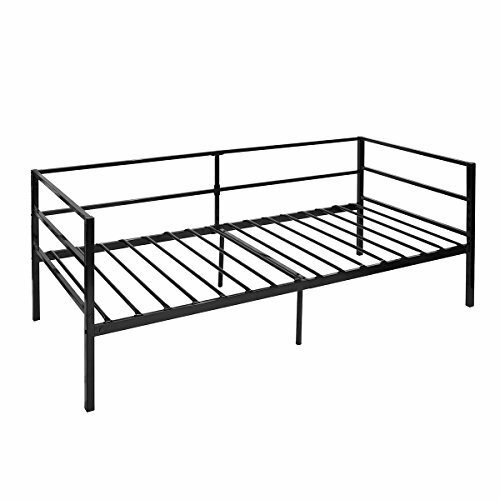 Plan to Purchase Full Size Pop Up Trundle Bed Frame? When the space in the room is limited, the bed is savvy and would be the best solution. Beside it can be transformed into full size bed, the bed can be used as bunk bed and daybed. It can be adjusted to the needs of the owner. As the name implies, the pop up feature is located on the supported lever. In the case, the lever can be used to pull out or pop up the lower bed into the same position as the upper bed. So basically, the full size pop up trundle bed frame turns the bed into large sleeping area in space saving base as it can be stored underneath the primary bed when finished. However, within a common bed frame, there is also supported lever sold separately in the market. As in Wayfair, as the example, there is Pop-Up Trundle for Day Bed by Wildon Home®. It costs about $100 – $200. The supportive feature includes adjustable height, link spring, and wheels. Overall size the pop up is 16.75” H x 38.5” W x 70” D. So it is compatible to support twin bed with trundle. Then, there is also Bed Supports Pop-Up Trundle Unit by Fashion Bed which is priced at $125 – $200 The construction itself is made of metal for more durable with powder coated black finish. 8 inch clearance under the bed for the mattress is needed to store the mattress under the main bed. On the contrary, beside the practical idea of the pop up feature, the full size pop up trundle bed frame can also cause some problems. There are some cases where at night the pop up frame and the main bed frame is separated. So it is so annoying sometimes as people may not realize it when they are sleeping. It can reduce the comfortable feel within the large sleeping area. To secure it and to keep them side to side, bungee cords is usually used under both frames by twisting it. Another problem is even when the mattress is placed side to side to the bed frame, there is a gap or large seam that appears. Still, this is what makes the bed cannot be called as the truly king bed. There is solution for it though. It can be repaired by having good fitting sheets or memory foam pad to prevent a larger seam. However, the full size pop up trundle bed is the most suitable style when there is a twin size mattress. Some other may prefer to use double twin beds separately which is being close together and some other prefer traditional trundle to pop out the bed. This is only about each individual preference to use the full size pop up trundle bed frame or not.